Chengdu is a Far East city that should be on any travel bucket list, especially if you are a foodie. The capital of southwestern China’s Sichuan province is famous for its spicy and flavorful foods — including hotpot and mapo doufu (tofu, ground meat, fermented chili bean paste, Sichuan peppercorns and chili oil) — that remain a staple on Chinese restaurant menus across the world. Earning an UNESCO City of Gastronomy distinction, Chengdu is also steeped in teahouse culture, with centuries-old spots serving steaming cups. Follow the locals and sip tea in tranquil settings ranging from alfresco venues in People’s Park to indoor spaces with intricate Sichuan artwork and design. Chengdu also lays claim to China’s first food museum, the Sichuan Cuisine Museum. The other biggest attraction in town is the Chengdu Research Base of Giant Panda Breeding, where you can find those cute, cuddly giant pandas so coveted by zoos across the globe. The Sichuan region, which is on the UNESCO World Heritage List, is home to more than 30 percent of the world's pandas. 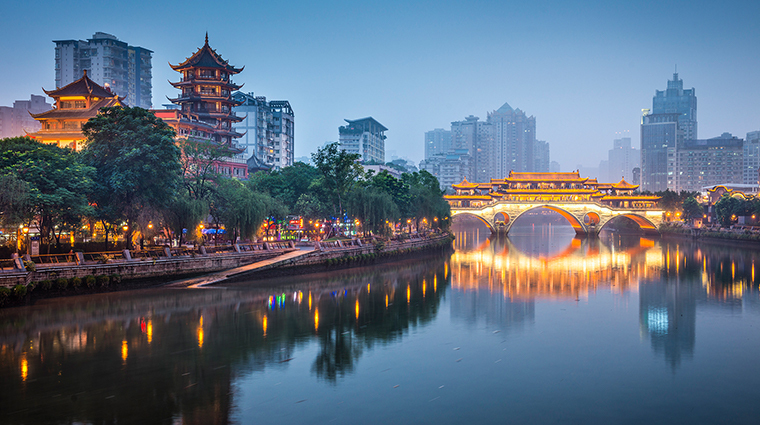 What you may not know about Chengdu is that it is a bustling transport hub, as it’s the gateway to southwestern China. It also has a thriving nightlife scene filled with expats, students and locals. Nightclubs, bars and karaoke spots keep the city humming into the wee hours.